Only two races are on the ballot. Republican Brad Raffensperger from Johns Creek and Democrat John Barrow from Athens are competing for the Secretary of State Office. Incumbent Republican Chuck Eaton from Atlanta and Democrat Lindy Miller from Decatur are seeking election to the Public Service Commission. Raffensperger and Barrow spoke at Oconee County party meetings earlier this year and presented very different priorities for the Office of Secretary of State, with Raffensperger focusing on voter fraud and business services and Barrow focusing on voting security. Neither Eaton nor Miller spoke in the county during the runup to the November election, but their web sites indicate both list low utility rates and jobs as their top priorities. Turnout is likely to be low, with the winner in each race the candidate who motivates voters to go to the polls. The runoff election is being held because neither Raffensperger nor Barrow and neither Eaton nor Miller received more than 50 percent of the vote on Nov. 6. In Oconee County, Raffensperger got 66.8 percent of the vote, Barrow got 30.7 percent, and Libertarian Smythe DuVal received 2.5 percent. Raffensperger’s total was the lowest for any Republican candidate in Oconee County voting on Nov. 6, and Barrow’s was the highest. Statewide, Raffensperger got 49.1 percent, Barrow got 48.7 percent, and DuVal got 2.2 percent. In Oconee County voting on Nov. 6, Eaton received 69.4 percent of the ballots cast, Miller received 27.3 percent, and Libertarian Ryan Graham received 3.2 percent. The final tallies for the state gave Eaton 49.7 percent of the vote, Miller 47.6 percent, and Graham 2.7 percent. 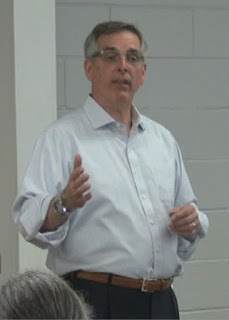 Raffensperger told Oconee County Republicans last January he was motivated by three key issues in his bid to get the Republican nomination for Secretary of State in the May 22 primary. Only in response to a question from the audience did Raffensperger mention problems with the state’s voting machines. 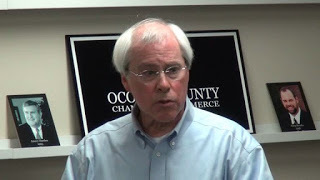 In a visit with Oconee County Republicans in June, Raffensperger repeated his three priority issues, but he also mentioned a need to update the state’s election equipment. Raffensperger is an engineer who owns Tendon Systems, a special contracting and engineering design firm based in Suwanee in Gwinnett County. Barrow, in a meeting with Oconee County Democrats in February, said the most prominent issue facing the Secretary of State Office is use of voting machines that leave no record other than what is recorded on the voting machine chip. Barrow was critical of then Secretary of State Brian Kemp for not addressing the issue of machine security, saying the Secretary of State had the authority on his own to fix the problem. Barrow, an attorney, represented Georgia from the 12th District in the U.S. House of Representatives for five terms following his first election in 2004. He was defeated in 2014. Barrow lists on his website endorsements from Oconee County Sheriff Scott Berry, a Republican, as well as former Libertarian candidate DuVal. Eaton and Miller are competing for the District 3 seat on the state Public Service Commission. The district is designated as Metro-Atlanta, meaning the candidate has to live in that district, but the election, as with all Public Service Commission districts, is state-wide. Miller has worked internationally in economic development and co-founded a renewable energy company in Georgia. Statewide runoff elections in December have been rare in recent years. Georgia did not have a runoff election after the general election of 2014, and the runoff in 2010 was only for judicial races. In 2008, a runoff was held for the U.S. Senate between Republican Saxby Chambliss and Democrat Jim Martin. A Public Service Commission race also was on the runoff ballot, as were some nonpartisan, statewide judical races. In 2008 across the state, 2,137,956 ballots were cast in the Senate race, and in Oconee County 10,800 votes were cast, according to the Secretary of State web site. Overall turnout isn’t reported on the Secretary of State web site, though the Senate race at the top of the ticket is likely to have attracted most of those who did vote. The state had 5,198,971 in November of that year, and Oconee County had 20,458 registered voters in 2008, according to the Secretary of State web site. Turnout rate, computed based on the U.S. Senate vote, was 41.1 percent in the state, and in Oconee County it was 52.8 percent. The U.S. Senate race is higher profile than the state Secretary of State Office, but those are the best benchmarks available for what is likely to happen on Dec. 4.